What an incredible year it’s been for Create + Adapt. 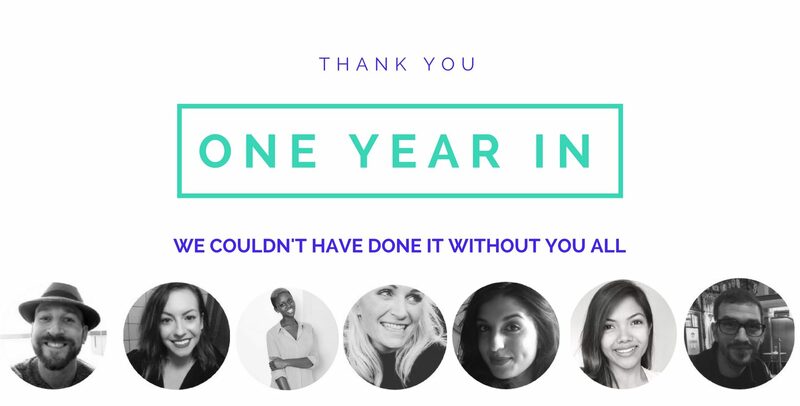 In May 2016 it was just one man and a dream – fast forward 12 months and we’re now a team of 8, servicing a wonderful community of 35 customers with recruitment and employer branding, and have talent pooled nearly 20,000 candidates. We’re finally doing things differently around here; realising our vision and shaking up the industry. Reinventing recruitment with our unique subscription model, we’re showcasing the power of Talent Pooling, saving our customers precious time and tons of money. Slowly but surely, we’re achieving new ways of sourcing the right talent and preaching the importance of employer brand. At Create + Adapt, transparency is embedded in our culture. Everything we say and do internally and with our clients is clear and honest. As a remote team, internal communication is super important but can also be hard to maintain. That’s why Slack has been a god-send and has enabled us to be in each others faces (digitally) for both work and play. The #channels we have created have helped to streamline our conversations so that we’re all kept up to date on the things we need to know about. With our clients, Recruitee has allowed us to offer the same level of transparency. Managing the hiring process has never been simpler. Likewise, the heroes at Hubspot have enhanced our sales and marketing strategy, and for all the accounting stuff we had no idea about when starting a new business, Xero has us covered. We’re breezing through with the support of such great tech partners so we can focus on what we’re really good at; #reinventingrecruitment.